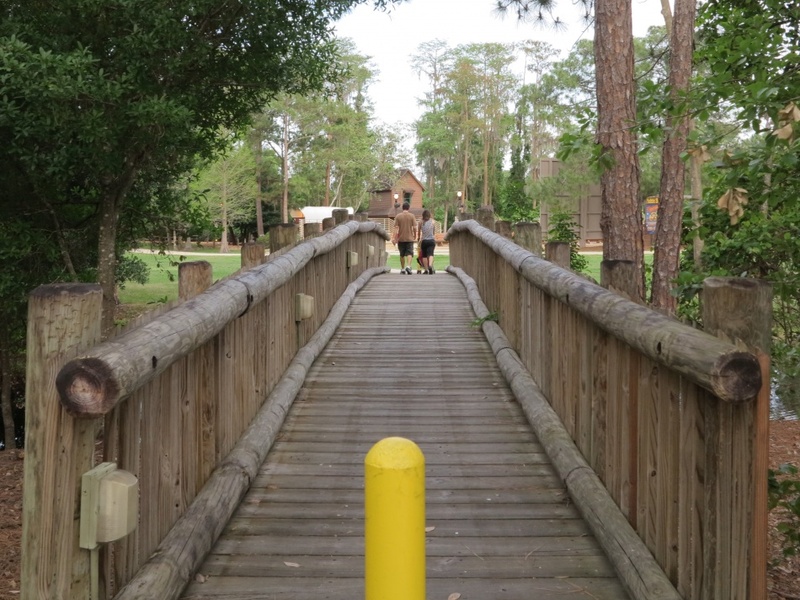 What is Walt Disney World’s best kept secret? 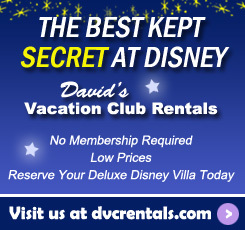 It used to be Disney Vacation Club but we all know the word is out about that! 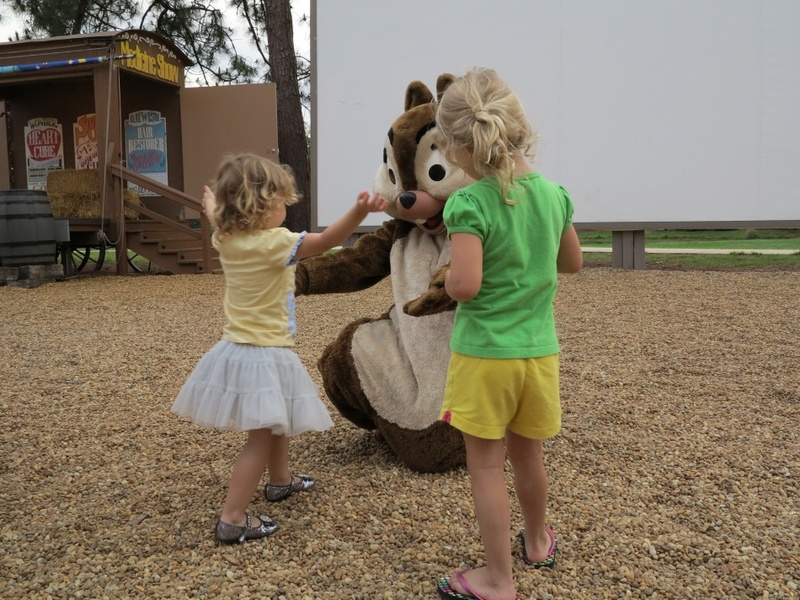 No, the secret I’m talking about is Chip ‘n Dale’s Campfire Sing-A-Long at Fort Wilderness. 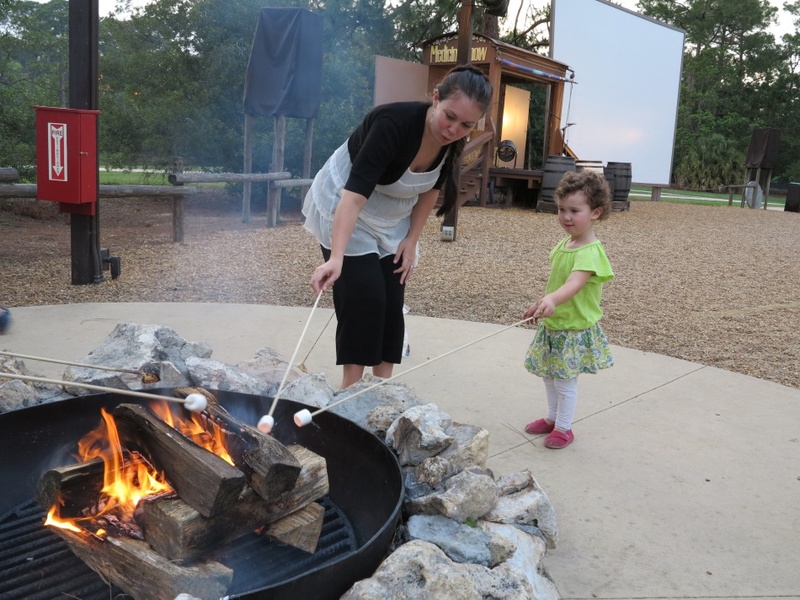 Every night Guests can gather ’round the campfire, roast marshmallows, make S’mores and sing songs. 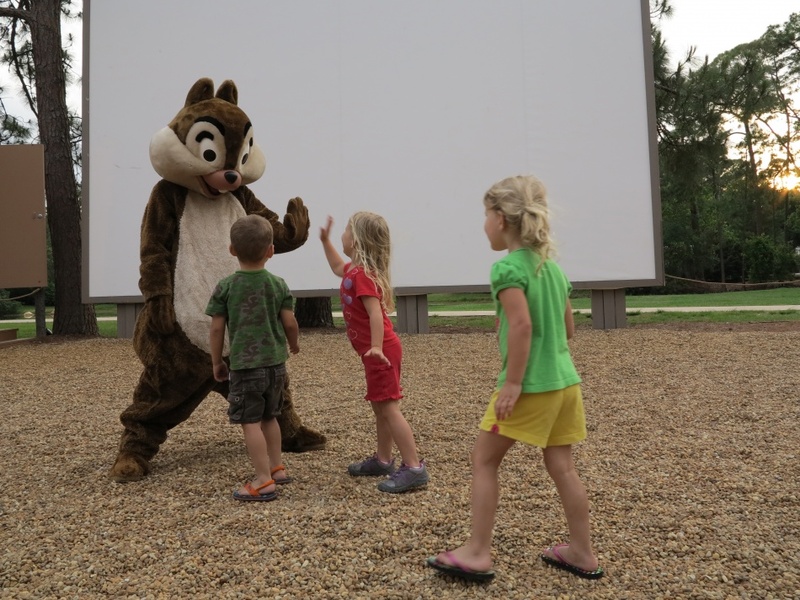 Chip and Dale join in the fun which is followed by a Disney movie in a theater under the stars. The best part? Except for the snacks, the whole thing is free. That’s right, it won’t cost you a dime. 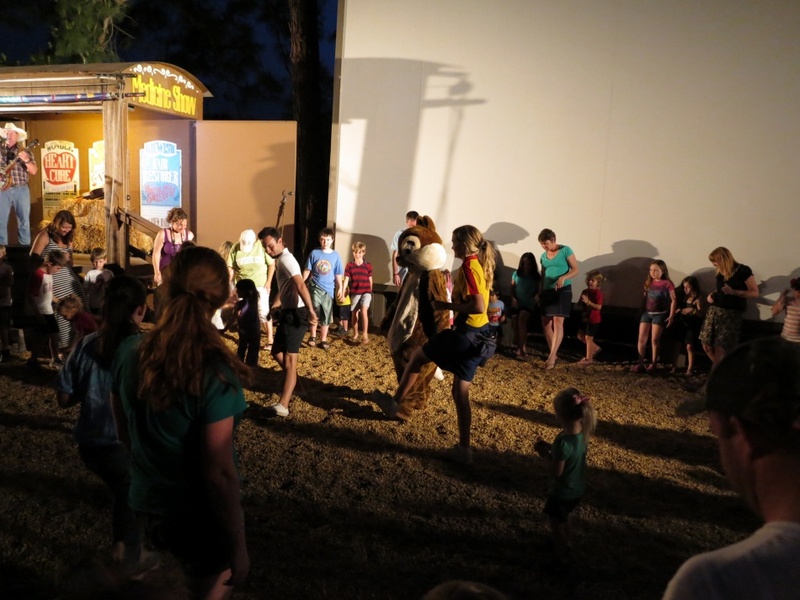 You don’t have to be staying at Fort Wilderness to go to the campfire or movie. 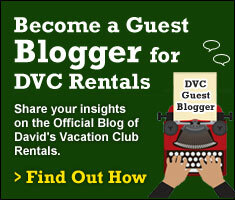 Guests staying in any of the resorts can go. 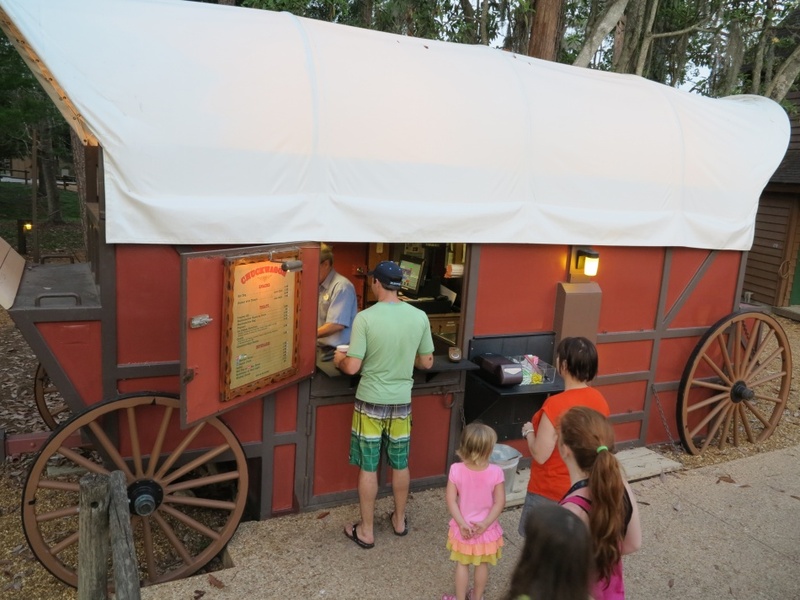 Once you arrive at Fort Wilderness, take an internal bus to the Meadow Trading Post. If you’re not sure where that is, just ask the bus driver to let you know when you reach the stop. 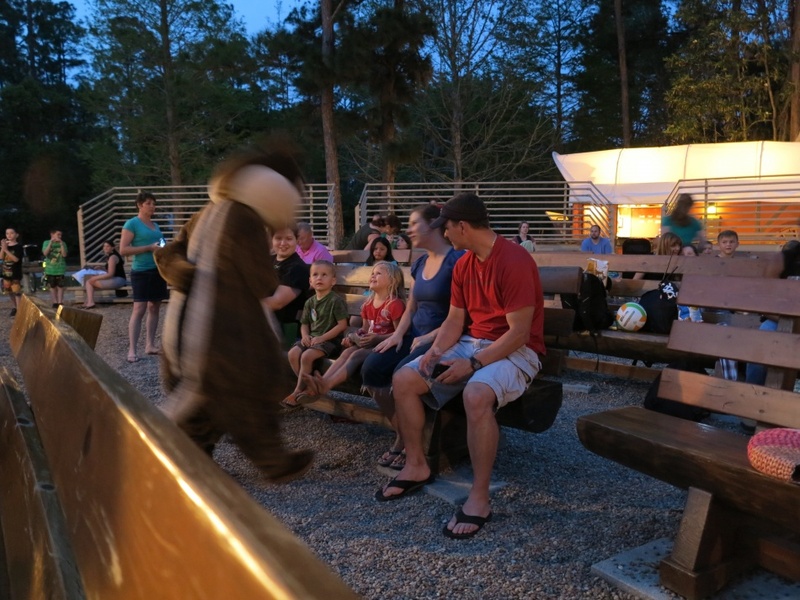 The outdoor theater is near the trading post. 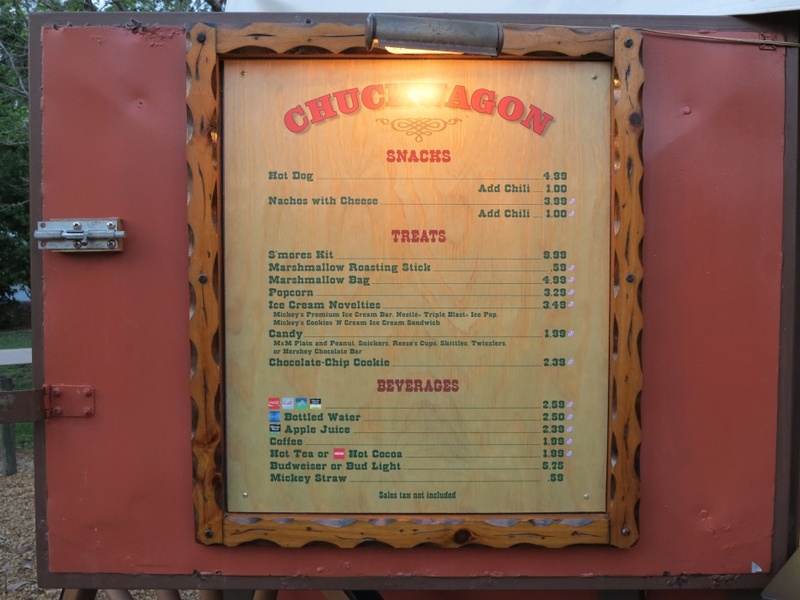 Below is the lay of the land: 1) The Chuck Wagon 2) Restrooms and Chip and Dale’s dressing room 3) Bleachers 4) Benches 5) and 6) Fire pits 7) Movie Screen 8) Stage (on the other side of screen). 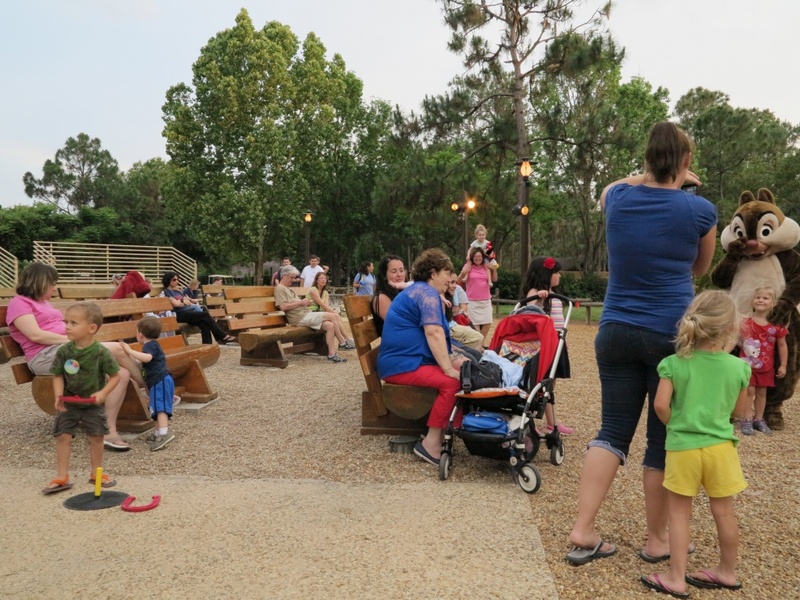 The area between the benches and the movie screen is gravel. 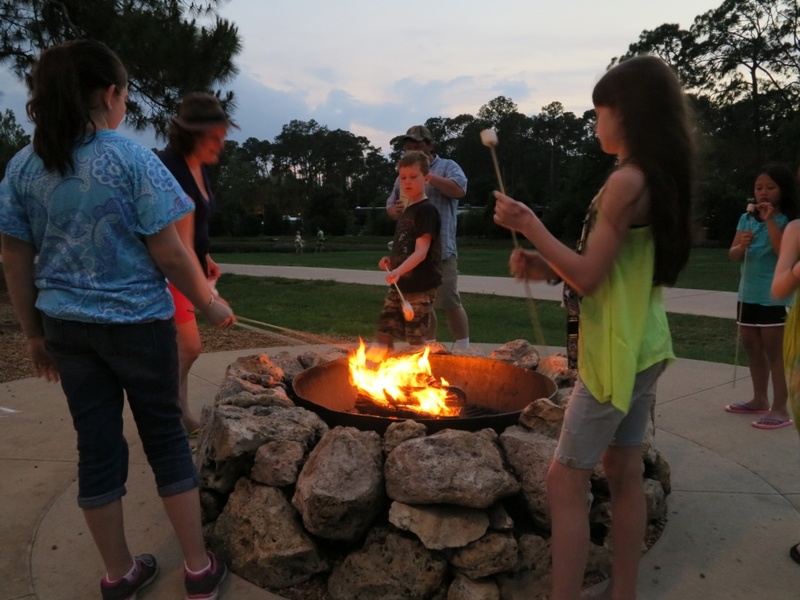 In the cooler months of the year the campfire begins at 7 pm and in the warmer months, it begins at 8 pm. I went a little early because it was my first time and I didn’t want to miss anything. I’m so glad I did too. Chip and Dale came out to play while people were arriving. For quite awhile it was just my friend and I and one family. 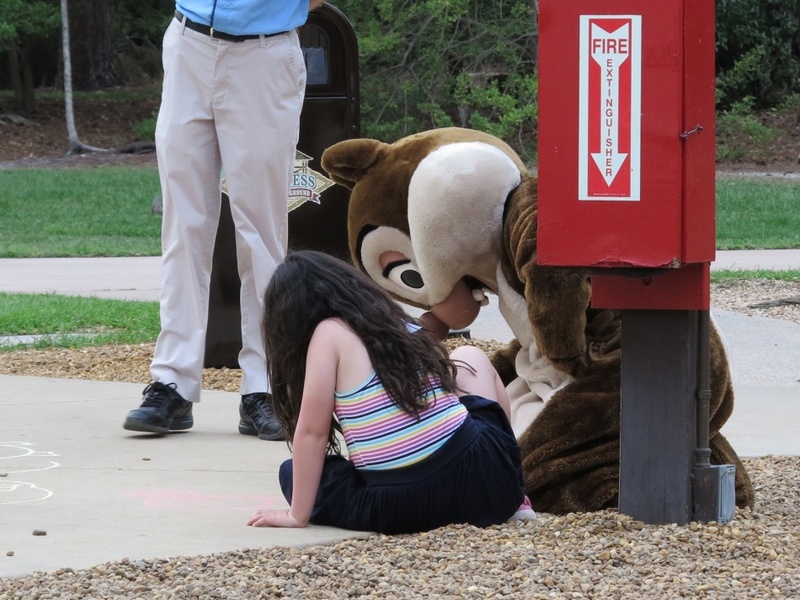 Chip sat down on the bench beside me, just being a goof, while Dale drew chalk pictures with a little girl. 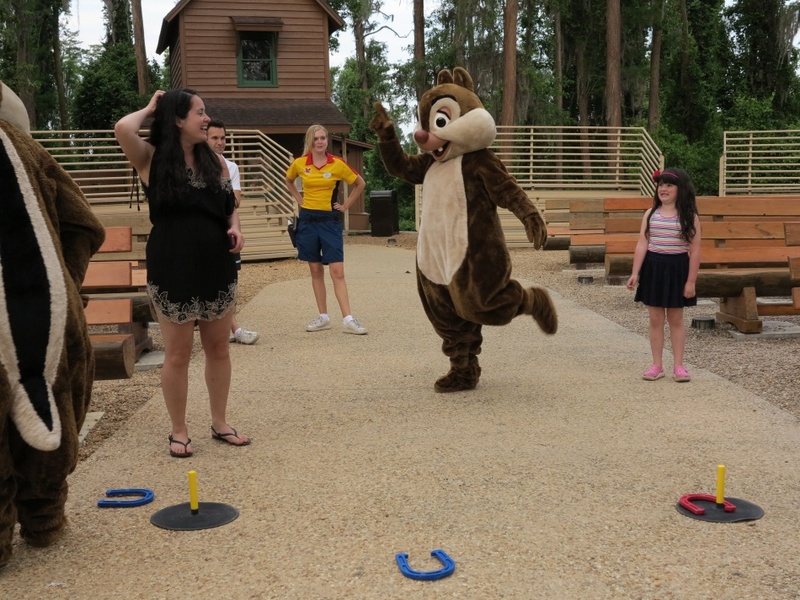 After that, Dale challenged Chip to a game of horseshoes and more fun ensued. I think we had them to ourselves for a good half hour. 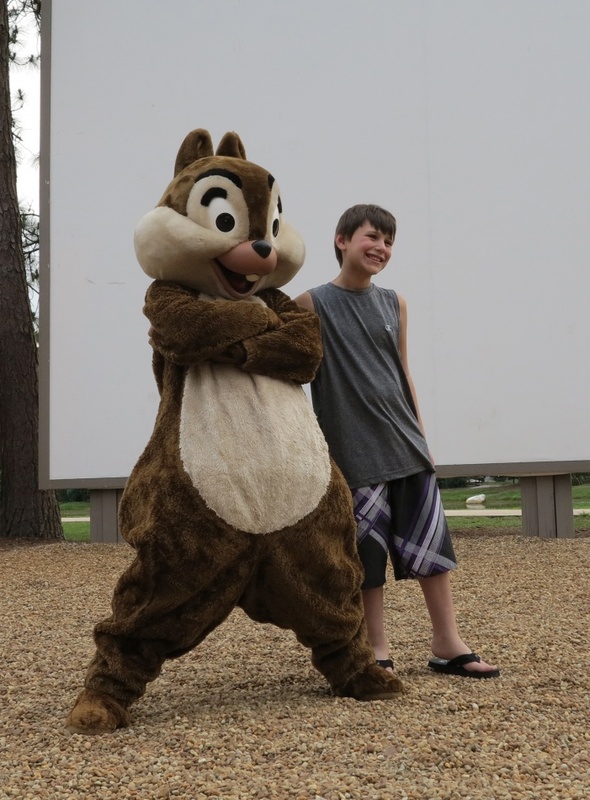 As more people arrived, Chip and Dale entertained us all with their silly antics. Of course, there were lots of high fives, autographs, photos and hugs before the pair headed out to get ready for the show. 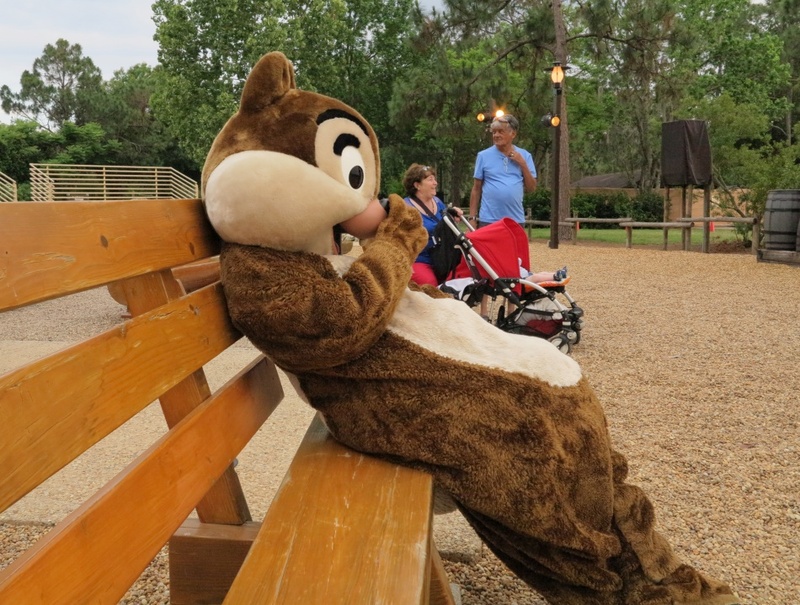 While Chip and Dale were gone the Cast Members lit the campfires. Hurrah! Time for S’mores! 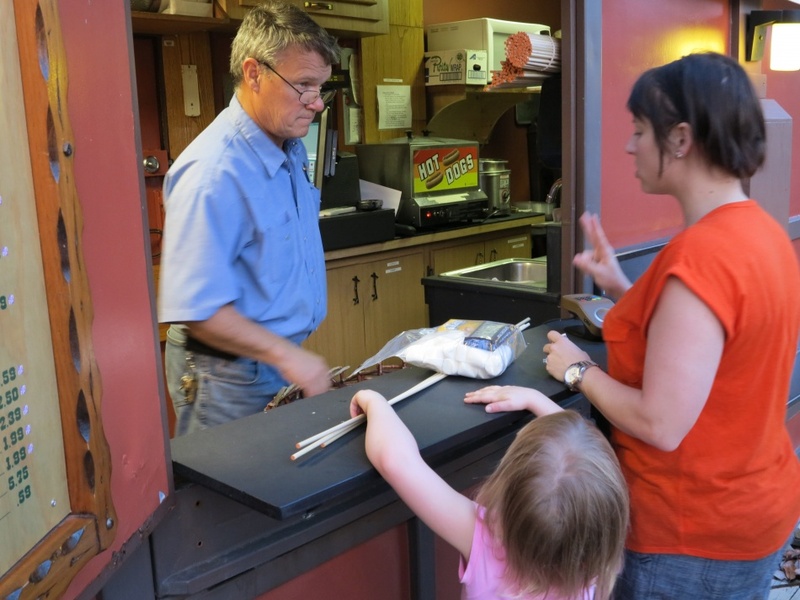 At the Chuck Wagon they have S’more making kits that include the sticks and even some moist towelettes. You can save a little money by bringing your own if you want. 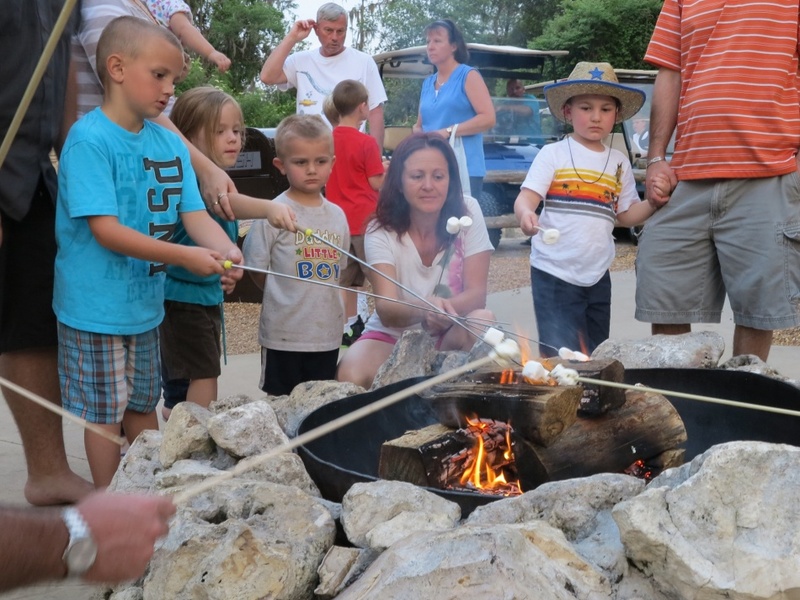 Once we all had our provisions, it was time to get down to the serious business of roasting our marshmallows. I’m certain for many of the little ones that this was their first time cooking up this gooey treat. I had to duck away from several flaming marshmallows as they were quickly yanked from the fire by tiny, flailing arms. I managed to survive though and finished making my own messy dessert. 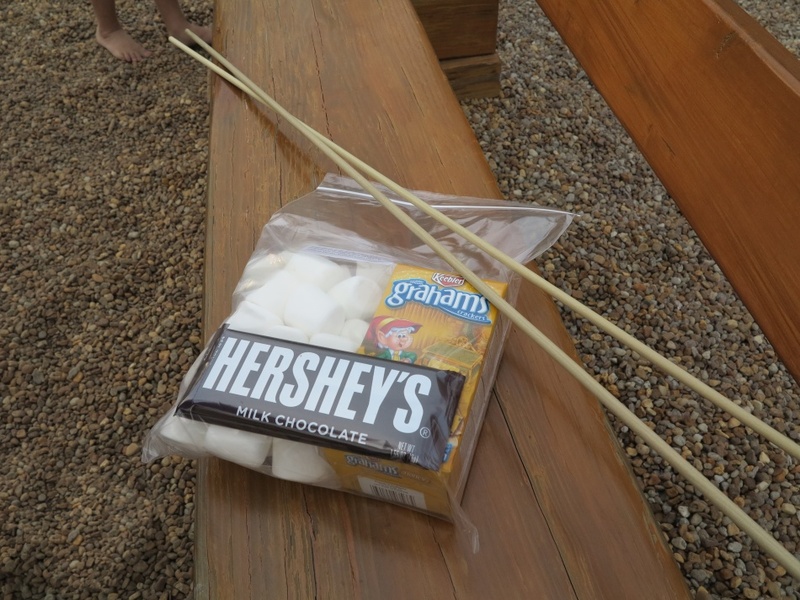 There’s just no way to stay clean when you’re eating a S’more. I was thankful for my moist towelette. As twilight set in, more marshmallows found their way to the fires. The second wave of roasters definitely seemed older and more experienced than the first. I’ve got to say, this night was one of my favorites of all time at Walt Disney World. 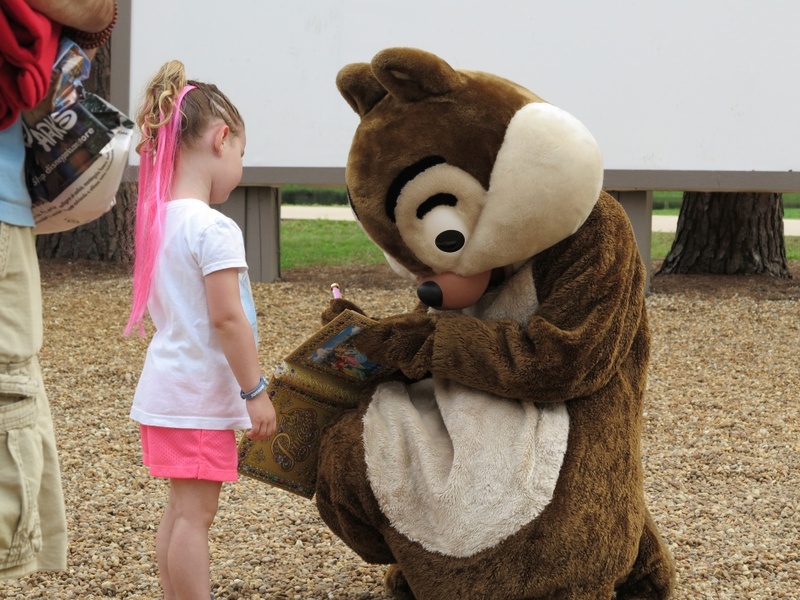 First, there was all that fun with Chip and Dale – how can you not love those two? 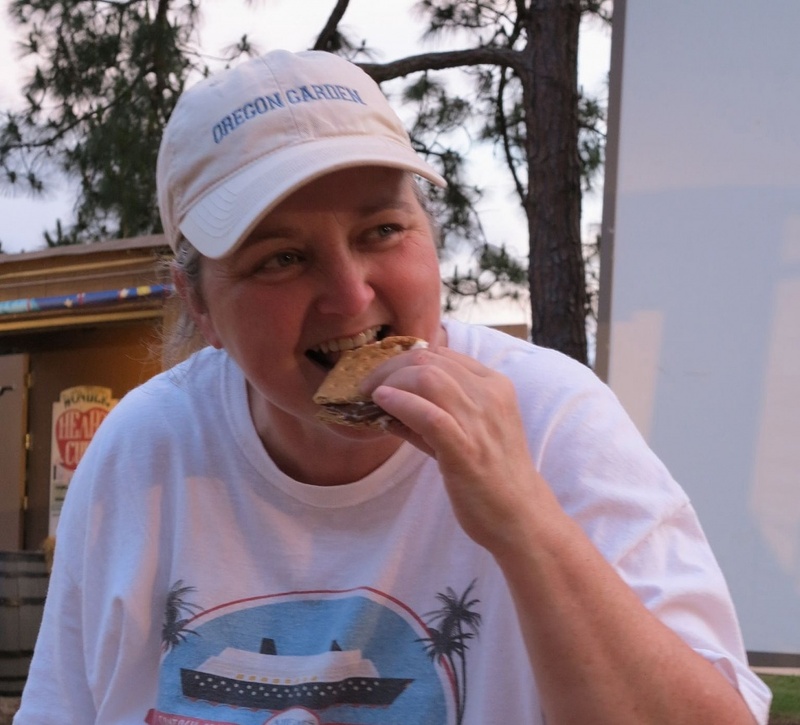 Then there was the S’more, yum. But the thing I loved most was how relaxed everyone was and how much fun they were all having together. I saw so many sweet moments that night. If you want a memorable activity where you can really enjoy the company of your family, I highly recommend this one. Then it was time for the sing-a-long. 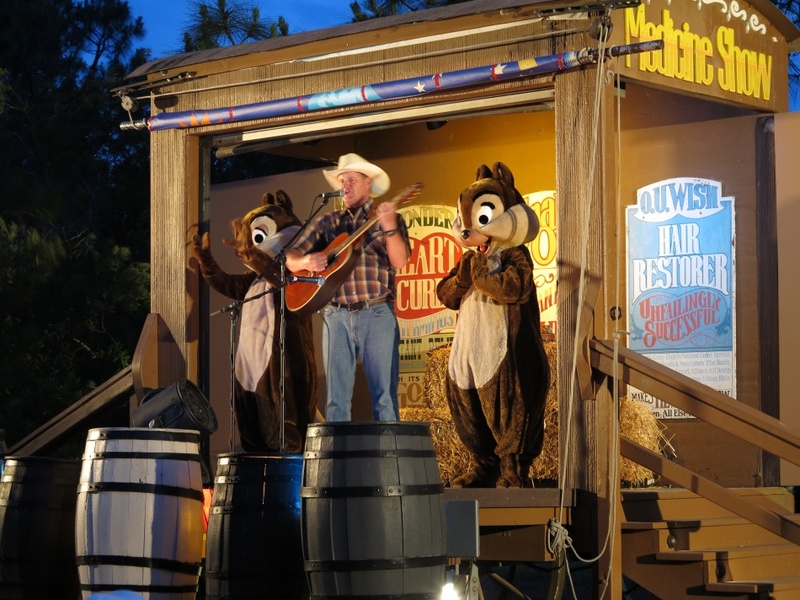 Chip and Dale helped this cowboy get things rolling, then he kept the crowd singing while they roamed the audience taking time to say hi to everyone there. The sing-a-long ended with a mini dance party. Everyone was doing the Hokey Pokey and the Chicken Dance to blow off some steam before the movie or heading home. I have just a few tips. Bring along some bug repellent, just in case. Take a flashlight (or use the flash on your camera as a flashlight) to illuminate the path on your way out. It’s quite dark after the movie. Remember that the temperature will drop along with the sun so bring along some extra clothes or a blanket to keep warm. 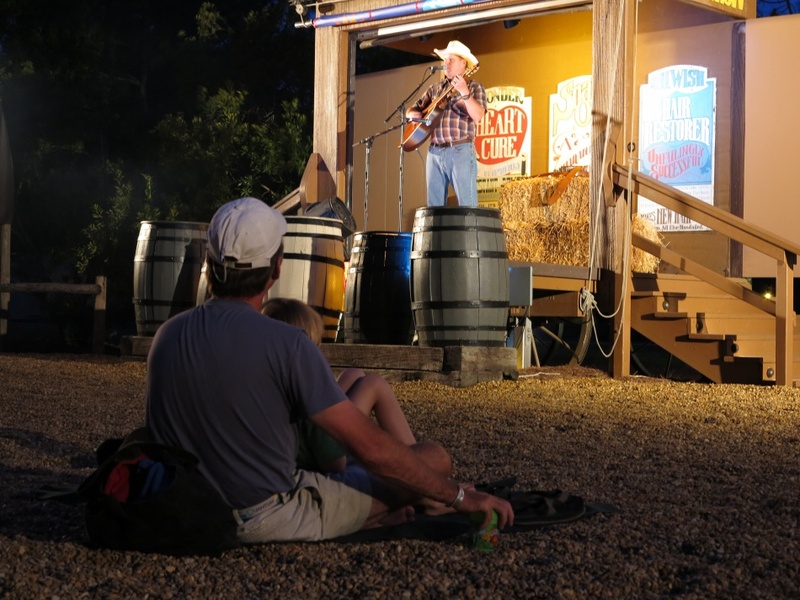 If you haven’t been to Chip ‘n Dale’s Campfire Sing-A-Long, I hope I’ve inspired you to check it out. Maybe I’ll see you there, because I’m definitely going again!